This event is COMPLETELY free of charge and features a pop-up mini-ramp and shop open everyday from 11AM-7PM. There will also be an art show during the course of the week, and a mini-ramp contest. The best part is, AIR CONDITIONING! 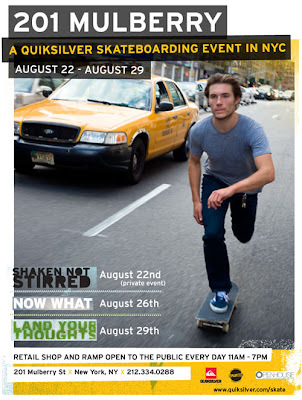 There's no excuse to not get out for this, so skate on down to 201 Mulberry!